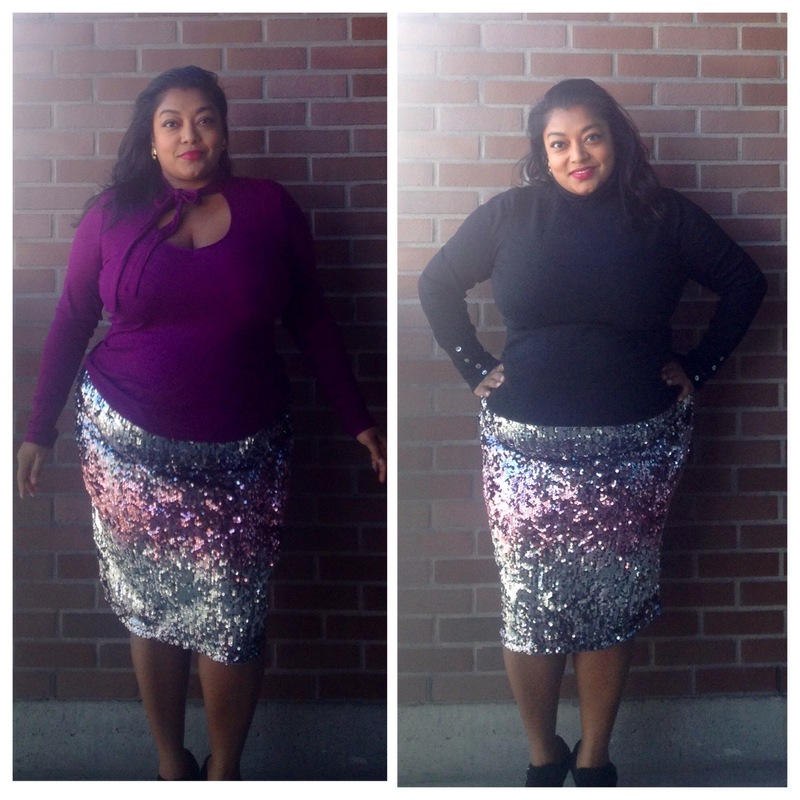 Winter Trends: Sparkle | Petite Plus, Meow! Christmas is THIS WEEKEND….woohooo!!!! ❤ Hope you’ve been following our December long series!!! I found this tri-coloured layered sequins pencil skirt on the Forever21+ website way back in November and ordered it right away. Originally I was going to pair this skirt with a satin, off-one-shoulder top, creating an extra dramatic look. As great as a dramatic looks can be, I really didn’t have anywhere go this year that required an over-the-top look like that. I really wanted to make use of this sparkle winter trend more than just a “special occasion” piece. So I decided to pair it with a variety of warm winter sweaters to create more wearable looks. I went with a light-weight, black turtle neck…with little button details on the sleeves and black booties. Head over to Style Cassentials for all the details on Cassie’s winter trend of sparkle in her outfit. Or her Instagram here. Or visit her Facebook page here. Stay tuned as we got ONE MORE THURSDAY LEFT in December!!! See how we’ve put our own unique twists on popular Winter Trends this year. We hope they are bring you some fashion inspiration to try yourself this month! Did you have a favourite? Tell us in the comments below! 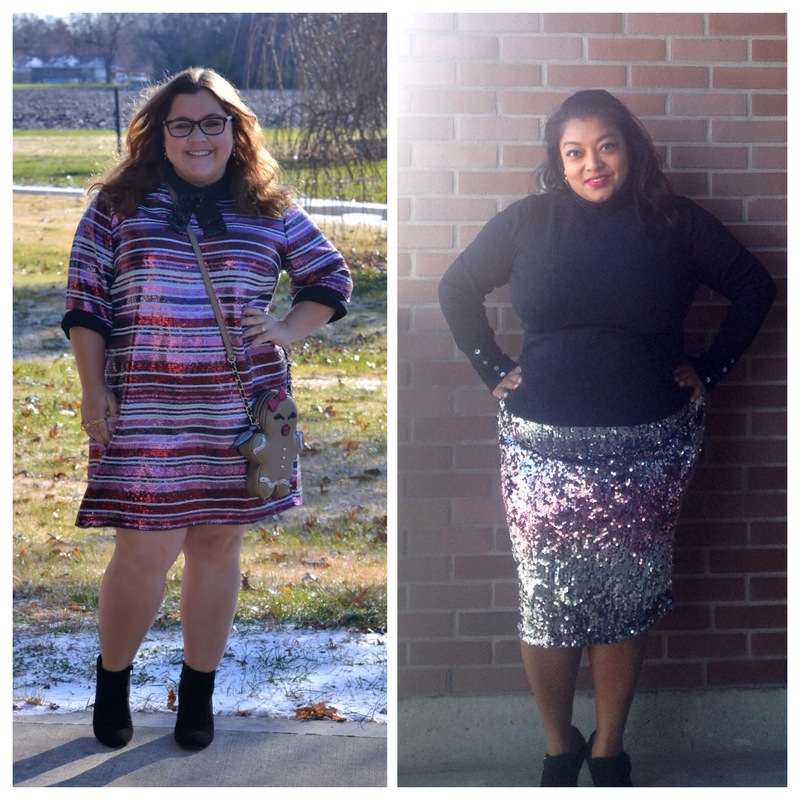 Last week’s post was about talked about incorporating GOLD into your Winter party wardrobe …. click here in case you missed it.